A few weeks ago I came across a tube of spicy almonds in a Lick My Dip box (reviewed over on All Subscription Boxes) which were quite frankly the best almonds I've ever tasted in my life. 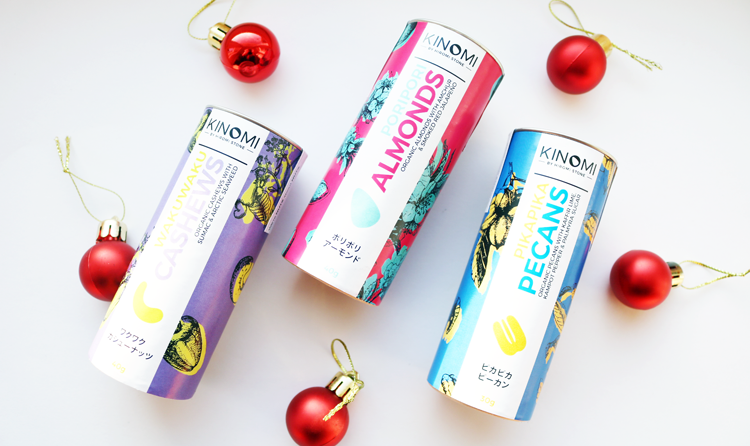 I professed my love for them on Instagram and was pleasantly surprised when the founder of Kinomi Nuts, a lovely lady named Hiromi Stone, got in touch with me to ask if I'd like to try the other flavoured nuts that she makes. I readily accepted and received a package of all three to sample. 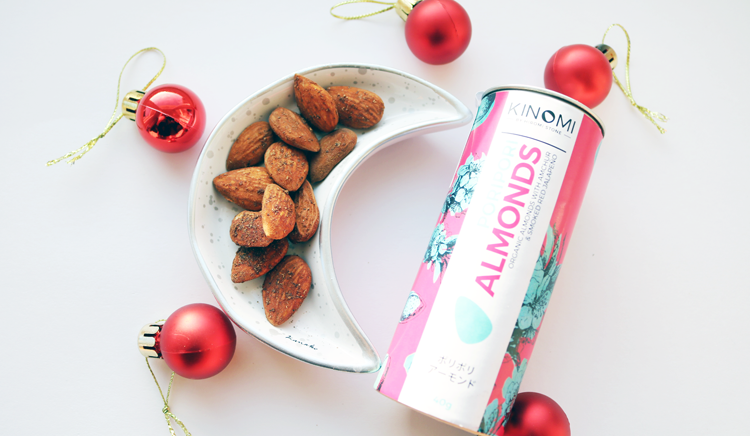 Kinomi Nuts is the brainchild of Hiromi Stone, who runs her company from London and hand makes all the products herself - her nickname is the 'Willy Wonka of Nuts!'. She combines high-quality organic nuts with exquisite blends of Japanese flavours and spices, making them taste completely different to anything that I've ever tried before. These are then packaged into the most beautiful tubes which would make ideal stocking fillers, but only if you can stop yourself from wanting to eat them all that is! 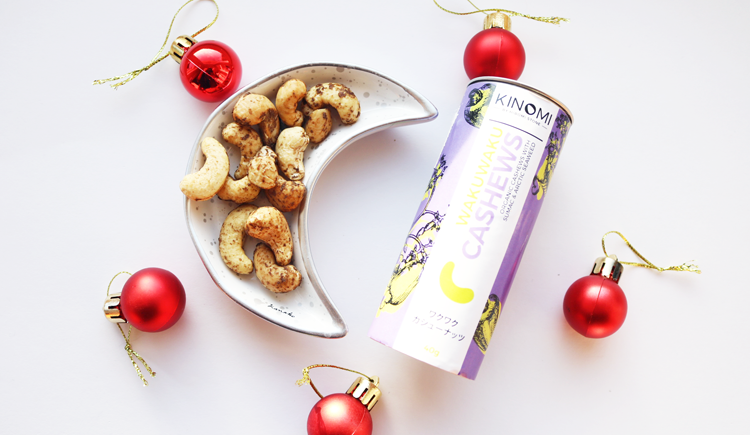 'Waku Waku' describes those butterfly feelings of excitement, and these cashews are definitely something to feel waku waku about. They're seasoned with an unusual blend of Artic Seaweed from Norway and Sumac which is sourced from Iran, as well as Kinomi's signature gluten-free Soy sauce glaze. The cashews have a slight first crunch when you bite into them and then they transform into a creamy, almost melt-in-your mouth texture, with that interesting seasoning that tastes like nothing I've experienced before. It's sort of subtly salty from the seaweed and soy sauce, and has a fresh lemony tang from the Sumac which compliments the cashews perfectly. These nuts are seriously out of this world, and that's something that I never thought I'd be saying on this blog! 'Pori Pori' describes a crunchy sound in Japanese and these almonds have a wonderfully satisfying crunch to them. The minute that you prise open the lid of the tube, you're instantly greeted with this alluring smoky scent that reminds me of BBQs mixed with hot spices. Flavoured with Indian Amchur, Sake, Kombu, gluten-free Soy sauce and Smoked Red Jalapeno, these Pori Pori Almonds are a sheer delight for the taste buds. Packed full of flavour with a hint of spice and lots of smoky goodness, they are utterly moreish and it's very easy to eat the entire tube in one serving. You'll have to experience these for yourselves because I won't be sharing them! 'Pika Pika' describes something shiny and as you can see from the photo above, these pecans have a delectable shine to them. 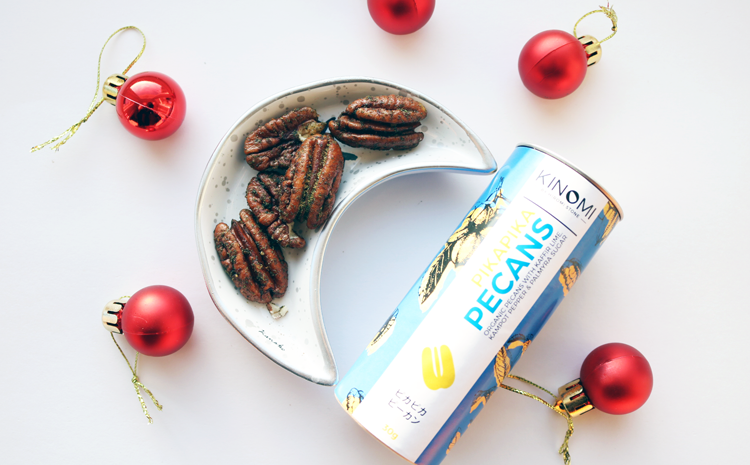 The extra large organic Pecans are sourced from Peru, and are coated in a lightly sweet and savoury combination of Kaffir Lime, Kampot Pepper, gluten free Soy sauce, Sake, Kombu and Palmyra Sugar. The lime comes through the strongest to me, and I can taste a little kick of pepper and then some sweetness. Like all of the other flavours, it's unique, different and very tasty. Would you try something like these?